Solar Energy Corporation of India is the nodal agency tasked with helping the Indian government achieve its target of 175 GW of renewable energy by 2022. This company which was formed 3-4 years primarily engages in giving out tenders for construction of solar parks and solar projects such as rooftop solar. It channelizes the subsidies from the cental government for different projects. As such the organization does not have huge capabilities in terms of marketing and playing in the private markets. It is our typical Indian state-owned company with babus and not normally known for being agile and respond to the private markets. The company now plans to venture out in the international markets as a solar EPC contractor and maybe as a developer as well. It thinks that the experience it has got in India can be leveraged in developing countries such as Nigeria etc. What the company does not seem to understand is that operating in a monopoly market is completely different from playing out in international markets with strong private companies. 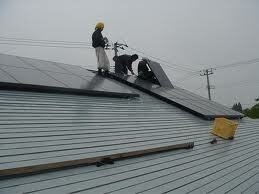 There are already large international solar EPC contractors and developers who have a strong presence in the emerging markets. Chinese solar companies, banks and equipment suppliers have already established a strong presence in the African, Latin American and SE Asian markets. There are also strong European and USA companies that play in these markets as well. In my opinion, SECI does not possess either the financial or the human resources to venture into such countries which require a totally different culture and mindset. SECI is a profitable organisation, I think. Why not have a few foreign jaunts,see how the market is outside India. Try to get some Indian companies to bid for projects outside India. The grass is always greener on the otherside.